Giving birth is one of the most challenging things a woman will ever do. Birth challenges people physically, but also in other, unexpected ways. You see, not only do parents have to overcome the physical aspects of birth, but they also have to navigate the culture in which birth unfolds and for most, this is a hospital birth. Each country, state, providence, city, town, and village has their own unique culture or, according to Brene Brown, “the way we do things around here”. The same concept applies to birth, which you’ll see reflected in the birth stories of women and things like a hospital’s cesarean rates. Birthing culture is an interesting thing. To those entrenched, the ones that create the written and unspoken rules, birthing culture feels like law, “the right way”, and those that question policy are often regarded as “ignorant”, “control freaks” or “trouble makers”. Throw into the mix a little bit of ego, and let’s just say, things get interesting. However, I’ve been in the birthing industry long enough to see policies change – policies that care providers once argued with their patients over (in the middle of giving birth). And some of these same care providers are the ones I now see operating differently, slowly changing the hospital birthing culture to conform to evidence based practices because it’s the right thing to do. I have a deep respect for these doctors and midwives. And then there are those that refuse to change, operate out of fear, are motivated by financial gain, and saturated with ego. Unfortunately, these care providers are out there too, in each and every birthing culture. They can be difficult to spot, and are often identified after the damage is done. It’s hard to watch. I’ve seen hard and fast “rules” be broken so that a mother can have the support she needs during a cesarean birth. I’ve watched care providers go above and beyond and try something new (warm compresses!) with great success. I have even seen women be “allowed” to give birth in an untraditional position, encouraged to follow her instincts, and only interfered when necessary. It’s truly amazing to watch positive change happen right before your eyes. Sadly, I’ve also seen doctors rush a birth and damage a mother’s perineum, solely because they had somewhere else to be. I’ve heard of someone bragging about their “20 minute cesarean”. I could go on, but I think you get the point. I say all this in hopes that parents step into their hospital birth experience as informed as possible, and approach things as if they were visiting a foreign country. Sometimes, other countries do things differently and it makes so much sense, and other times not so much. However you look at it, know that birthing culture is unavoidable, but also negotiable all at the same time. It’s important to read a travel guide, perhaps a few unbiased travel guides, before you arrive and not just “wing it” because of the belief that “you were made to travel”. Parents, you have options and rights. Become informed. Choose what’s best for you and your family, even if it veers from the well traveled path. Your child has only one opportunity to be born so do everything in your power to make the best choices with the resources available. You can do it! 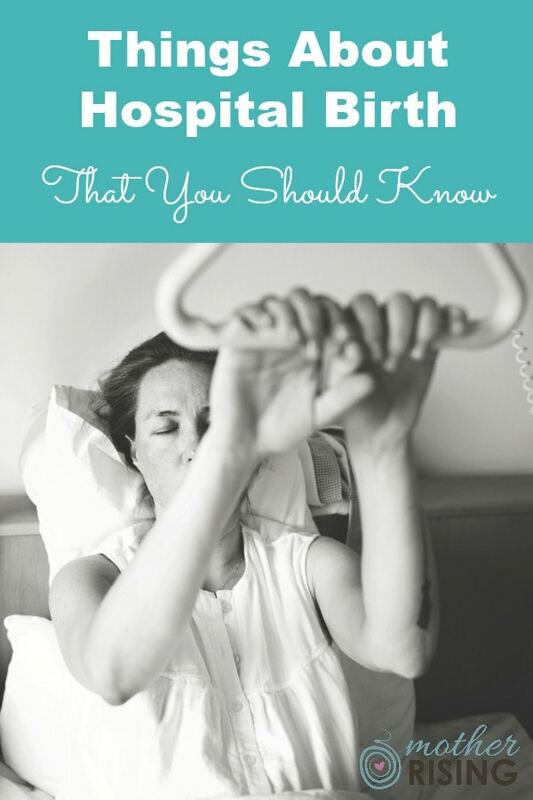 The following are things about hospital birth that you should know before you deliver. Let’s get started. If there is more than one hospital to give birth at in a particular community, many parents make the final decision based on amenities – like the size of the room, tub, or which is the shorter commute. I know this to be true because one of my jobs is to lead tours of the labor and delivery unit at a local hospital. Parents literally tell me that they decided their birthing venue because the rooms were bigger than the alternative. According to the World Health Organization, a birthing culture’s cesarean rates should be between 10 – 15%. If a particular hospital or care provider’s rates are drastically above that, it’s safe to assume that something horribly wrong is happening within that birthing culture. Look beyond what the marketing department wants you to see when choosing where to give birth. 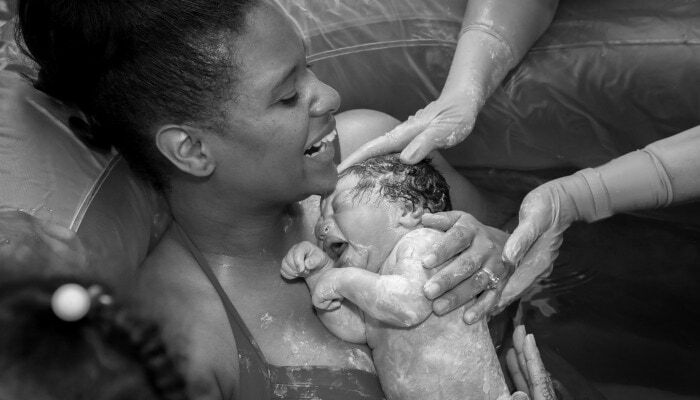 At most hospital births, an unmedicated, natural birth is less common than a medicated or surgical delivery. And at some, they’re just plain non-existent. Compare Utah or Alaska to South Florida, for example, and you’ll see a sharp contrast in the cesarean rates. Compare India to the UK in episiotomy rates and you’ll see polar opposite statistics as well. Why is that? Some may say that the pelvises and/or vaginas of the women in South Florida and India are inadequate, but I call shenanigans. The difference is not in the ability of the female body (ugh!) but in the ability of the birthing culture to support a woman through the birthing process. In reality, the beliefs, attitudes, policies, and people in many hospitals are more suited for a medical birth. Know that if you desire a natural birth, which is completely understandable, you will likely be in the minority at your local hospital. This doesn’t mean that a natural birth is impossible, but depending upon your birthing culture, you’re going to have to plan for one, not just hope for one. If you’re in need of practicing patience, a wonderful opportunity is at a hospital waiting for policy to catch up to best practices. There are many reasons for this phenomenon in the US, but it’s best explained in the documentary The Business of Being Born. What this means for parents is that you can’t assume that how people, including baby, are treated in labor and delivery are what’s absolutely best. It likely is, but not always. For example, many hospital births require all women to adhere to a clear liquid diet during labor, even when the research suggests unmedicated women should do the opposite. Another example of this is that during pushing, care providers routinely perform perineal massage to prevent tearing, which has proven to be ineffective as most first time moms still receive second degree tears. A final example is that in lieu of delayed cord clamping, which has joyously become standard protocol in my community, some care providers are choosing umbilical cord milking instead, which is simply not the same thing. This realization can be startling to new parents, especially those that would like to believe that would never happen to them, but in my opinion it’s best to know what you’re working with at the gate and work towards the gold standard during pregnancy. It breaks my heart when first time parents parents wish they had known better and done things differently when all is said and done. One of the biggest reasons parents parents choose hospital birth is because they perceive it to be the safest option. Parents want the best for their children, so it makes sense that they choose deliver at a place that offers life saving equipment and procedures (specifically, surgeons and surgery). Depending on where you live and what birthing culture you have access to, the idea that hospitals are the safest place for babies to be born, may or may not be true. There’s even a study out there that shows homebirth to be just as safe as a hospital birth for low risk women (SOURCE). I’m not saying you should have a homebirth, hospital birth, or even a taxi (Uber?) birth. All I’m saying is that parents should question their definition of safe, and their perception of the safety of hospital births when creating a birth plan. I hope I am beginning to paint the picture that the way things are done in a birthing culture are not hard and fast truth, and is definitely not law. Hospital policy is not law. A woman can refuse anything. To have a medical procedure performed on an individual that goes against their wishes is battery. Hospital policy is not law. A woman can refuse anything… even her care provider or nurse. I’ve seen it done. That being said, when operating in any culture, it’s important to navigate with wisdom. Communicating with care providers is a two way street and sometimes both parties lack the skills to come to the desired outcome. Check out this post to learn a step by step process on how to ask questions and get good information in order to successfully navigate through policies and procedures of hospital birth. At this point I bet you’re thinking I am an anti-hospital, pot smoking, tree hugging, hippie that hates doctors and only attends unassisted births. Far from the truth. I am an educated woman that’s seen a lot, and am hoping to help other parents operate with wisdom in reality. Having said that, I want to make one thing clear – in no way am I encouraging parents to think of hospital staff as the enemy trying to ruin their birth experience. The thing is, your care providers and staff are operating in their reality, with what they’ve been taught, the best way they know how. They’re giving their best, to you. Their best may be different than what you think their best should be, but nevertheless, they’re doing their best. When navigating the medical model, it’s best to approach situations with the mindset that whoever you’re working with is doing the best they can do with what they have. This way, you’ll see them as they really are – people just like you and I – and not the enemy. I’ve worked with some amazing care providers that I admire and I’m so grateful for their expertise they bring to my community. Trust me on this, when it comes to communicating with care providers, you’ll catch more flies with honey. Taking this a step further, let’s consider the backbone of hospitals – nurses. Nurses are amazing human beings, with an extraordinary task, coupled with ridiculous constraints. They too, are doing their best. Sometimes when listening to the chatter of labor and delivery nurses, I often feel discouraged about some of the things they say. However, when I put myself in their shoes, it gives me a different perspective. You see, nurses have a desire to take care of their patients well, which is often compromised by a few things – their patient load, hospital policies, and the attending physician’s choices. Sometimes these things directly counter each other, leaving the nurse to make choices based more on if they want to keep their job or not. Nevertheless, sometimes the nurse matched with you upon admission to labor and delivery isn’t the best fit. This happens! I bet she feels the disparity too. If this is the case, have a birth partner or support person go to the nurse’s station and ask to speak to the charge nurse. Explain the goals of this particular birth and how nurse Betty doesn’t seem to be the best fit. Ask if there is a different nurse that would be better suited for whatever you’re trying to accomplish. 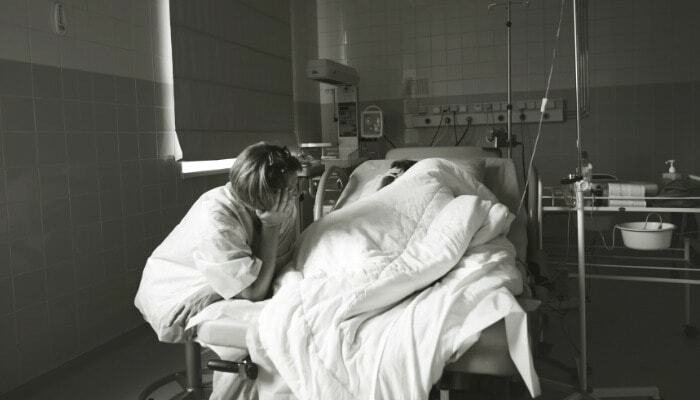 A doula should be a part of every birth if a woman wants one, especially in the hospital. Doulas are independent third parties that offer continuous physical, emotional, and informational support to the laboring mother and her partner. Doulas are such an interesting piece of the puzzle in birthing cultures. You see, they attend births in all venues, with all care providers, and because of that have a unique perspective. They see what works, and what doesn’t, what’s changing for the better, and what’s not. Doulas have the ability to see beyond birth culture, and encourage women to follow their inner-knowing when having a baby. Using doulas has shown to increase positive outcomes for mothers and babies so much so, that they’re mentioned 14 times in a new publication outlining ways to advance high-value maternity care (which the US struggles with, by the way). Even if you’ve never thought about hiring a doula before, go ahead and interview 2-3. You won’t be sorry! For many parents, hospitals are a wonderful place to have a baby. My third was born in the hospital! However, it’s important to understand your ideas and perceptions about hospital births before stepping foot through the door. To recap, these are some things about hospital birth that you should know before you have a baby. What do you think? I’d love to hear your thoughts. Leave a comment below and be part of the conversation.